SUNBURST Pheasant Feather Bow Tie. 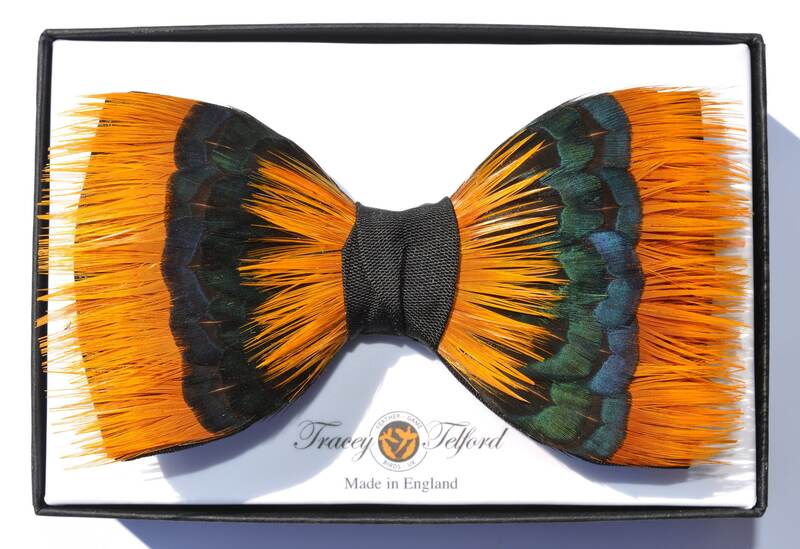 Like a sudden flare of light and warmth breaking through the dark, this Sunburst pheasant feather bow tie design by plumassier artist Tracey Telford, will bring a blaze of energy to any outfit and leave you glowing. With radiating bright and cheerful orange yellow feathers, contrasted with iridescent blue and green, this Sunburst design makes a stunning statement. Being individually hand made, you can request either solely blue or solely green contrasting hues to align with your preferred design aesthetic. Similarly, whilst the design shown is set set on a luxurious black 100% silk bow tie, it can also be made available on quality black satin or, alternatively, a range of others base colours can be selected. 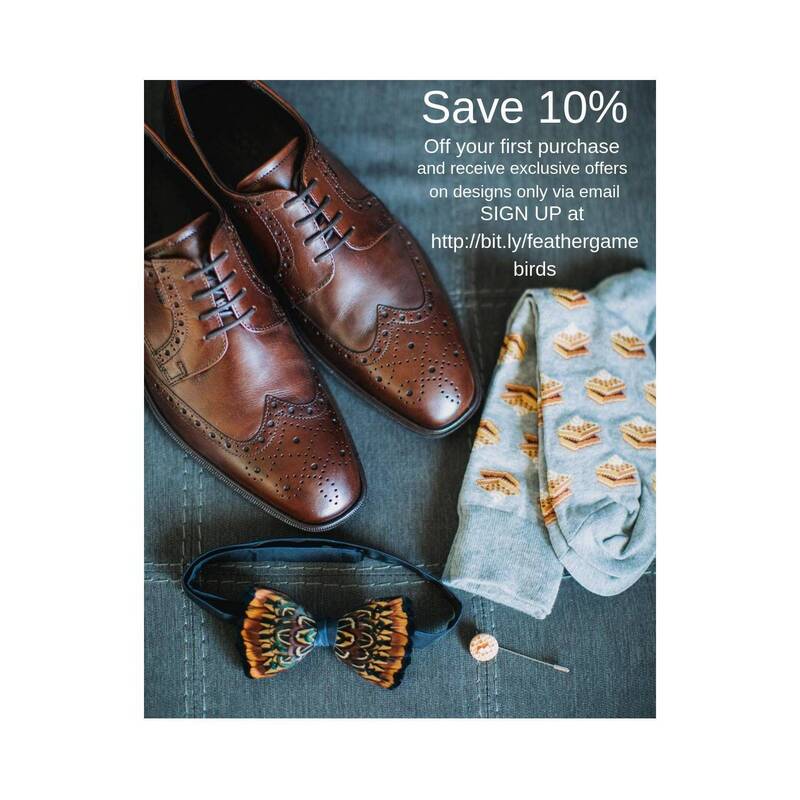 Complementing designs of feather lapel pin, pockets, wrist corsages, hair clips, bridal bouquets, and fascinators are also available, making perfect design matches for group events, bridal parties and collectors alike.